Every time you turn on the news or read a newspaper or magazine, there are money experts telling you to save more money. In a perfect world it’d be easy to save money. Yet if you’re like most people, you spend your time playing catch up and trying to stay out of debt. Saving money is a luxury. As it often is with goals, if you can get a head start and some momentum it’s much easier to follow through. 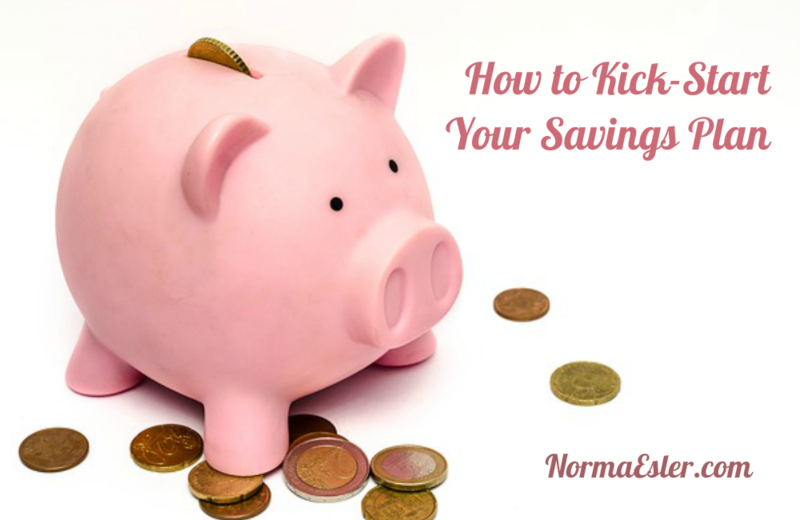 The following tips will help you kick-start your savings plan and get the momentum you need to achieve your financial goals. Before you get started, establish a savings goal and a purpose for your savings. You may have several savings goals. For example, saving for retirement and for a tropical vacation. If necessary, focus on one goal at a time. Get that savings account growing and on track before you shift your focus to another goal. You probably know how much you earn and the amount of some of your expenses. However, you may not be aware of all of the smaller expenses that slowly deplete your bank account. Track your spending for a month. List every single expense, including those coffee drinks you purchase from time to time. Include every single expense no matter how small. At the end of the month, total the spending in terms of categories. Use the expense tracking information to create a budget. This may sound tedious; however, it will help you control your money. This is the first step to being able to truly achieve a solid savings plan. You have the information to know where you can cut back your spending and thus save more money. Add a savings category to your budget and automate your savings. Any financial windfalls you receive need to go straight into your savings account. This is where you’ll really start to gather that momentum discussed earlier. If you receive a tax return, put it in savings. If you earn a bit of overtime, put it in savings. If you win $40 with a lottery ticket, put it in savings. If you find a twenty-dollar bill in your jeans when you’re doing the laundry, put it into savings. Finally, keep tabs on your savings and watch it grow. This step is motivating because it gives you a sense of accomplishment. Whether you’re only able to save ten dollars a week or a thousand dollars a week, the point is to start saving.